If you find yourself with a hankering for a plateful of French fries doused with all kinds of flavors and toppings, Crave has it. 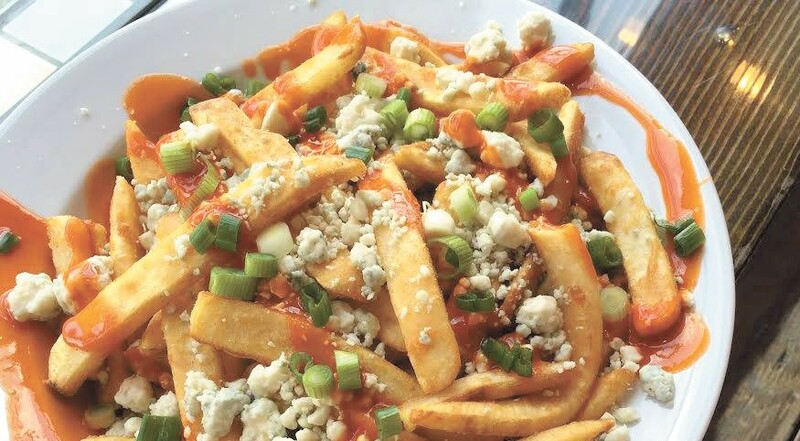 A list of French fry dishes isn't something you would have found before on the Bowl'z Bitez and Spiritz menu, but last month, owner Jake Miller closed the downtown restaurant for a few weeks in order to revamp everything — interior, food, name and all. "I wanted to brighten the place up, change the colors up a bit and also make it more efficient and have better quality service with a new layout," Miller says. Crave sports a new dance floor, TVs, lights and a whole list of new cocktails made with fresh-squeezed juices. Their full menu offers pizzas, burgers, tacos, wraps and salads, but opt for one of the specialty fry dishes, like the Fry-Attack, for a steaming pile of taters smothered in pepper jack and cheddar cheese, ranch, green onions and bacon.